“Our ‘Connect-Develop-Sustain’ strategy uniquely addresses the numerous challenges facing decision makers within the Education sector across Africa." Two satellites are now in a stacked configuration in preparation for the first-ever conjoined satellite launch. [SatNews] ...world’s first live concert to be broadcast via satellite encoded in the HEVC standard with a resolution of 3840 x 2160 pixels, 50 frame per second and a colour depth of 10 bit. The four docking stations are for maritime, vehicular, in-building as well as a low cost universal solution. New thematic cluster — NXT Connected Lifestyle will cover Smart living, wearables, 3D printing, connected cars, and unified communications and collaboration. This report analyzes the civilian and military UAS markets for both HALE and MALE platforms, in terms of the growth in their number of airframes, in-service SATCOM terminals, revenues, and capacity demand by frequency bands. 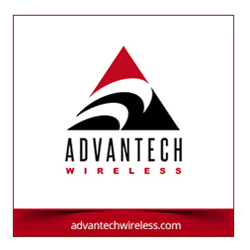 The S4120 from Advantech Wireless offers powerful connectivity directly to the LAN/WAN environment or directly to a host computer. “The need for these services was reinforced when a large U.S. aerospace/defense prime contractor awarded Keysight with a $25M, five-year contract..."
"In our business no one solution fits all and there is a need for different technologies to support services delivered over C-, Ku-, Ka-, or other bands..."
“Based on the use of RSCC Express-AM6 spacecraft capacity, this project is a pioneering effort for the African continent." DARPA’s Phoenix program has shared its Hosted POD Assembly Interface Control Document. The Australian Strategic Policy Institute has warned of pressures on demilitarization of the frozen south, in part caused by developments such as satellite systems. "MilCIS provides an opportunity for us to demonstrate our breadth of military communications and information systems to our customers, academia and industry partners." [SatNews] The ground has shaken with more than 700 earthquakes of magnitude 3.0 or stronger; at least 60 have been above magnitude 5.0. "By combining the latest satellite and cellular technologies, Libra allows MNOs to extend their reach..."
“Sky Deutschland has emphasized its strength in innovation by launching Sky Online." [SatNews] She comes with much experience, and now will use her expertise in this new appointment. ...allowing responders to more accurately locate operational commercial facilities offering food, gas, accommodation and medical supplies.